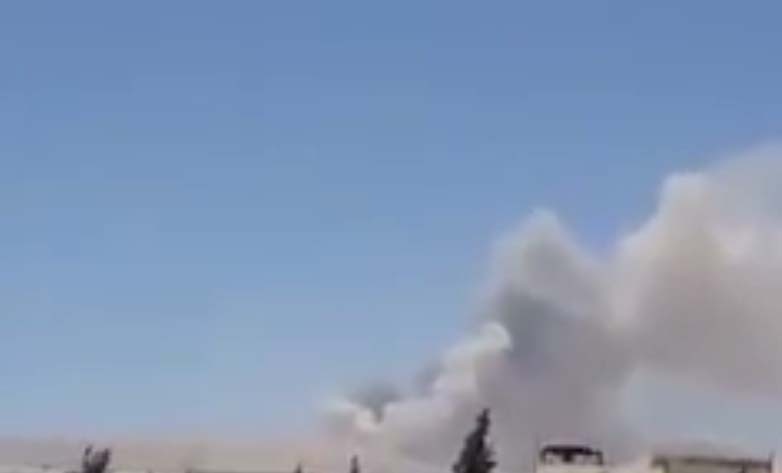 The Syrian opposition news agency Orient Net on Tuesday reported an explosion in warehouses used by the Iranian militias fighting for the Assad regime, near the Dara-Damascus highway. According to the Syrian Observatory for Human Rights, it is not yet clear who is behind the explosion. The Observatory noted that in recent weeks there have been several attacks on arms depots belonging to the Iranian and Hezbollah militias which were attributed to Israel. A week ago, Syrian State TV reported an Israeli attack near the Damascus airport, and a Syrian human rights organization said at the time that two rockets had been fired at Hezbollah arms depots near the airport. According to that report, the rockets attack destroyed an entire shipment of Iranian missiles recently sent from Tehran, and all the anti-aircraft systems deployed in the area over the past month were bombed. A US judge ruled that Naftali Frankel, kidnapped and murdered by Hamas in 2014, was partly to blame because he attended a school in an area supposedly prone to terror attacks. A US judge has told the parents of Naftali Frankel, who was kidnapped and murdered by Hamas terrorists together with another two Israeli teens in the summer of 2014, that they were partially to blame for his death because they chose to send him to a school in an area supposedly prone to terror attacks. The three Israeli teenagers, Eyal Yifrach, Gilad Shaer and Naftali Frankel, were kidnapped and murdered by Hamas terrorists in the summer of 2014 in the Gush Etzion area of Judea and Samaria. Their bodies were found in a shallow grave three weeks later on the route to Hebron. A couple of months later, Israeli Special Forces tracked down and killed the terrorists. In 2015, Racheli Frankel, Naftali’s mother and a US citizen, filed a lawsuit against Iran and Syria in a federal court in Washington in a bid to hold them accountable for their son’s murder. During the proceedings, Racheli Frankel recounted the devastating night of her son’s abduction and the subsequent torturous weeks. Federal Judge Rosemary Mayers Collyer accepted the family’s claims but chose to award them a very small amount in compensation, arguing that the family had taken its chances and endangered itself when it chose to live in Judea and Samaria, according to the ruling obtained by Israel’s Ynet news and published on Tuesday. She was convinced that Iran and Syria did provide material support and resources to Hamas in Israel, which contributed to the hostage-taking and murder of the boys, but ordered the defendants to pay only $1 million for Naftali’s pain and suffering, $50 million in punitive damages, and $4.1 million to his family in “solatium damages,” a term for the mental anguish suffered. The family sought damages of $340 million. The Frankel family appealed the low sum in compensation, but Collyer refused to reconsider her decision, stating that the plaintiffs had taken the risk involved in living beyond the Green Line in Israel and sending their son to a school in Gush Etzion. Explaining the decision to award the family a relatively small sum, Collyer noted that Frankel was kidnapped and murdered for being Jewish and Israeli, not because he was an American citizen. This somehow affects the amount the family is entitled to receive in civil damages, she asserted. The family members appealed the ruling through attorneys Nitsana Darshan-Leitner and Robert Tolchin of the Shurat Hadin-Israel Law Center, saying that the court exceeded its authority and involved unlawful considerations in its decision. Collyer is expected to rule on the matter soon. Meir Katz of the Berkman Law Office, who is one of the attorneys representing the Frankels, welcomed the new ruling. Iran will not pay, but the Frankels may receive the money through the US Victims of State Sponsored Terrorism Fund. The Fund is financed by fines paid by entities found to be engaging in business with countries in violation of US sanctions. Youssef Al-Mahmoud, a spokesman of the Palestinian Authority government in Ramallah, also condemned Israel’s move, saying the money belonged to the Palestinians and Israel had no right to hold it back and was violating signed agreements. In a bipartisan vote Monday, 87 MKs supported the legislation while 15 opposed it. 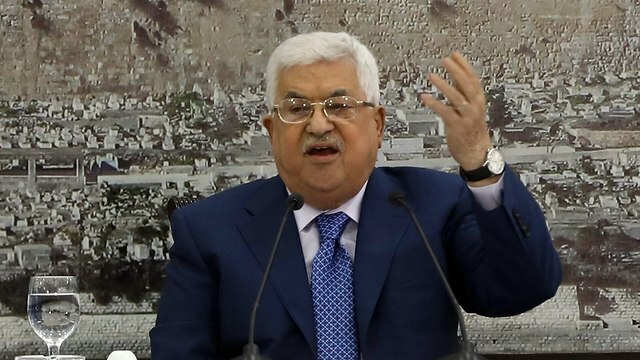 According to the law’s sponsors, the PA paid terrorists over NIS 4 billion over the past four years from its so-called “martyrs’ fund,” with NIS 1.2 billion (roughly $330 million) being paid in the last year alone. The appointment underscores the overwhelming importance that Israel places on the developing military confrontation between the countries. IDF Chief of Staff Lt.-Gen. Gadi Eisenkot has appointed Maj.-Gen. Nitzan Alon, who recently left his role as head of the military’s Operations Directorate, as the first director of a special IDF project to coordinate all issues related to Israel’s battle against Iran. Alon accompanied Eisenkot on his recent trip to the United States last weekend and participated in meetings with American military leaders, including Chairman of the Joint Chiefs Gen. Joseph Dunford. This is the first time that the IDF has appointed a “project director for Iran issues,” who is meant to coordinate all areas of Israel’s battle against the Islamic Republic: with respect to its nuclear program, coordinating intelligence gathering with other countries, and in countering Iran’s presence in Syria. In the past, the head of the Mossad Meir Dagan was responsible for the “Iran file” under Prime Ministers Ariel Sharon and Ehud Olmert, but at that time the battle was restricted to intelligence spheres. Now that the war between Israel and Iran has come into the open and includes military confrontation, the appointment of a “special project head” underscores the overwhelming importance that Israel sees for these developments. Within the framework of the role, Alon will also be responsible for coordination between the Israeli and American security establishments. The United States and Israel are in close contact and, on the Iran issue, the two countries are not concealing their interest in overthrowing the regime of the Ayatollahs. Israeli media recently reported that renewed American pressure on Iran, especially the enforcement of additional American sanctions, are having a significant impact within Iran — much more so than was foreseen. Part of this effect can be seen in the growing protests in the large Iranian cities in the face of the worsening economic situation and critical water shortage. The appointment of Alon, who is in a cooling-off period and is vying for appointment as the deputy IDF chief of staff, illustrates the trust that the IDF leadership places in him, including Eisenkot and Defense Minister Avigdor Liberman. Alon was head of the operations division until a little more than a month ago, and he can take part of the credit for the accruing Israeli successes on everything related to Israel’s “war between the wars” against Iran, Hezbollah, and Shi’ite militias. Now, as as a general-in-waiting, he is coordinating the IDF’s overall Iran efforts and reporting directly to the chief of staff. Alon is also charged with maintaining the connection between the IDF and military intelligence and the Mossad. Does this appointment strengthen the position of Alon in the battle over the next chief of staff, or at least over the appointment of the next deputy chief of staff? At this point, there is no clear answer to this question. 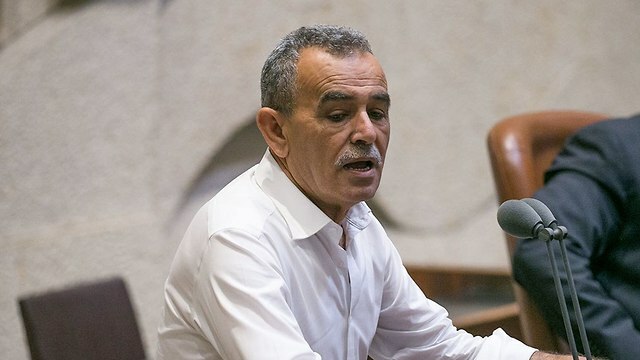 Alon has been labeled as a “leftist,” which has made him a target of extremist settlers in the West Bank while he served as head of the Central Command. At the same time, settlers spread a rumor that Alon’s wife was an activist with the Israeli left-wing NGO Checkpoint Watch. Nevertheless, Alon has won considerable and consensual professional acclaim that grew over the course of his appointment in the projects division. The IDF chief of staff and defense minister, who now have only a few weeks before having to make a decision on the identity of the next chief of staff, are faced with a glut of options: a clear favorite whose fitness and readiness for the position cannot be impinged (Deputy Chief of Staff Aviv Kochavi); another particularly high quality candidate who has failed in public statements in the past (former deputy Chief of Staff Yair Golan), and two younger generals, Gen. Nitzan Alon and Gen. Eyal Zamir, who recently finished a successful stint in the southern command. Liberman is expected to make his decision after the fall holidays. Iranian President Hassan Rouhani warned Tuesday that regional oil supply could be jeopardized if the United States manages to convince its allies to stop buying Tehran’s oil. Rouhani spoke to Iranian expatriates in Switzerland during his visit there on Monday. He said the US has threatened not to allow Iran to continue exporting its oil. Iranian state TV broadcast his remarks. “It would be meaningless that Iran cannot export its oil while others in the region can. Do this if you can and see the consequences,” he said according to an English-language report of his statements provided by Iran’s Press TV. 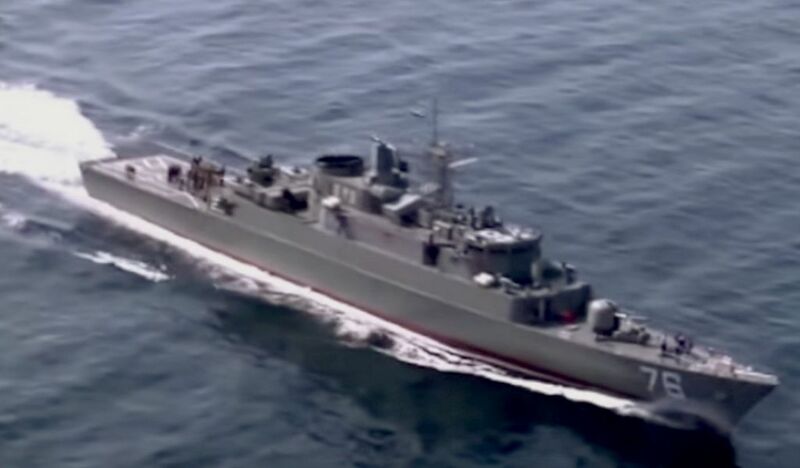 Rouhani didn’t elaborate but when pressured in the past, Iran has threatened to close the strategic Strait of Hormuz through which one third of the world’s oil supply passes. Rouhani asserted that Iran will not buckle under US pressure and urged dialogue to resolve the differences between the nations. 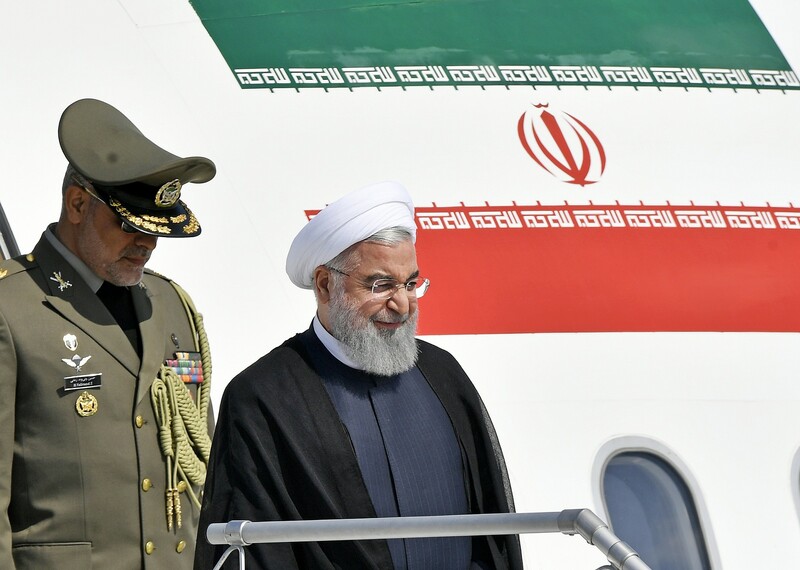 “Iran’s logic has not changed, one party without logic has left the Joint Comprehensive Plan of Action with the goal of putting pressure on the Iranian nation,” Rouhani said. “We told all our foreign parties that if they speak to the Iranian nation with the language of logic and respect, then we can get problems solved… and that threats, pressure and humiliation will never work against the people of Iran,” he said. Also Monday, a senior Iranian military commander said that Iran will respond to any threat against the nation. Speaking at a meeting of senior Islamic Revolutionary Guard Corps commanders in Tehran, Major General Gholam Ali Rashid urged social and political unity in facing up to the United States, Press TV reported. Rouhani’s comments came after the Trump administration vowed Monday to stick with its pressure campaign against Iran, affirming its strategy to change Tehran’s behavior by gutting its oil revenue and isolating the country globally. “Our goal is to increase pressure on the Iranian regime by reducing to zero its revenue on crude-oil sales,” said Brian Hook, the State Department’s director of policy planning, at a briefing with reporters. He also suggested, however, that there would be some legroom with other countries that import Iranian oil from avoiding immediate sanctions, once they are set to be re-imposed come November 4. “We are prepared to work with countries that are reducing their imports on a case-by-case basis, but as with our other sanctions, we are not looking to grant waivers or licenses,” Hook said, in comments that were seen as a softening of the United States’ prior demands. These moves follow US President Donald Trump’s decision in May to withdraw the United States from the Iran nuclear deal, which removed sanctions against the Islamic Republic in exchange for curbs on its nuclear program. The accord, forged during the Obama administration, is still being honored by the other signatories — Russia, Germany, France, the UK and China. Despite the space Washington is prepared to grant these and other nations working with Iran, Hook insisted the Trump administration would not provide exemptions and was intent with fully charging forward with its current plan. Notable countries that import Iranian crude include Turkey, India, China and South Korea. Since a US State Department official first told reporters on June 26 that the US was preparing to ask allies to cut their oil imports from Iran, the US market took a hit, with US crude jumping more than 8 percent. “Prices [too] high!” he said. “He has agreed!” It is not clear when that agreement will begin implementation. FOX NEWS – The Obama administration granted citizenship to 2,500 Iranians, including family members of government officials, while negotiating the Iran nuclear deal, a senior cleric and member of parliament has claimed. My guess is the Trump State department is hearing about this for the first time, otherwise they probably would have confirmed or denied it. So we’ll see if it’s actually true, but as I suggested, it really wouldn’t surprise me if it were.